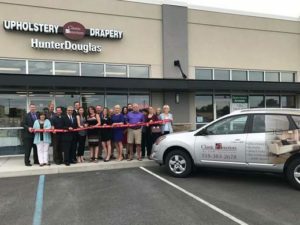 Classic Interiors is your local authorized Hunter Douglas dealer. 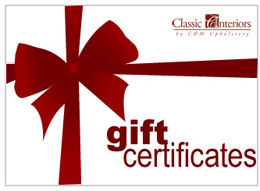 We service Clifton Park, NY, and the surrounding areas. 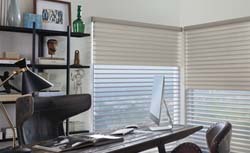 Our Hunter Douglas horizontal and vertical blinds come in a variety of materials, such as wood, faux wood, fabrics, vinyl, and aluminum. We offer numerous operating systems, from cordless to motorization. Blinds are very popular in Albany and Saratoga Counties because of their versatility. Vertical and horizontal product selections give you the ultimate control over light and privacy, and offer the best in style and functionality. Parkland® Reflections® – Get the look of shutter louvers with the efficiency of a blind. The wide, 2.5″ beveled slats lend a distinct style, and they come in beautiful stains or paint colors. Parkland® Genuine Woods – Precision-crafted from the finest North American hardwoods, including genuine oak and cherry, these products display beautiful natural grain and color variations. Parkland® Classics™ – Parkland™ Classics™ wood blinds offer the widest selection of paint colors, stains, and slat sizes, so you can find just the right design for your home. EverWood® Distinctions™ – Featuring a best-selling color selection of whites and creams, these alternative wood blinds can bring a bright, classic look to any room in which heat and humidity abound. EverWood® TruGrain® – Built to withstand heat and humidity, EverWood® TruGrain® blinds come in realistic grain patterns. Choose from popular stains and flat and beveled options. EverWood® Renditions™ – Looking for value in alternative wood blinds? Everwood® Renditions™ is economical and offers white finishes and wood-grain colors, all ideal for rooms with heat and humidity. Macro – A dramatic look for large windows, our 2″ Macro blinds offer a wide view-through. The standard de-Light™ feature hides cord holes and blocks light for better light control. Reveal® with MagnaView® – When the view is your room’s focal point, opt for Reveal® with MagnaView® aluminum blinds. Designed to allow slats to nest together, this product provides twice the view-through as standard 2″-slat blinds. Natural Elements™ – Aluminum slats combine uniquely with real wood valances, bottom rails, tassels and tilt wands. MagnaView® is optional. de-Light™ is standard. Lightlines® – 1/2″ and 1″ Lightlines® aluminum blinds come in the widest range of colors and finishes and offer maximum light control and privacy. de-Light™ is standard. Décor® – 1/2″ and 1″ aluminum blinds are our most traditional aluminum blinds and feature standard cord holes and a contoured designer headrail for a sleek, fashionable look. Celebrity® – These 1″ aluminum blinds are economical and come in a wide selection of colors. Their beveled headrail offers a clean, traditional look. Cadence® Soft Vertical Blinds – Running along a quiet track, Cadence Soft Vertical blinds feature a patented curved vane that mimics the soft folds of a drapery. Somner® Custom Vertical Blinds – This product offers the largest selection of colors and textures. Select from smooth metal, wood grains, fabric, vinyl or aluminum materials. Vertical Solutions® Vertical Blinds – Offering a contemporary look, Vertical Solutions are economical and available in dozens of colors, styles and patterns in fabric or vinyl materials. 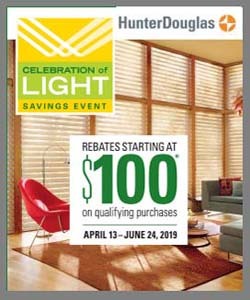 Contact us today to meet with a design consultant or to learn more about the Hunter Douglas Blind Collection. We provide in-home appointments in Saratoga, Schenectady, Albany, Rensselaer, and Warren Counties, including Clifton Park, Mechanicville, Halfmoon, Saratoga Springs, Loudonville, Latham, Lake George, and Bolton Landing, NY, and surrounding areas.